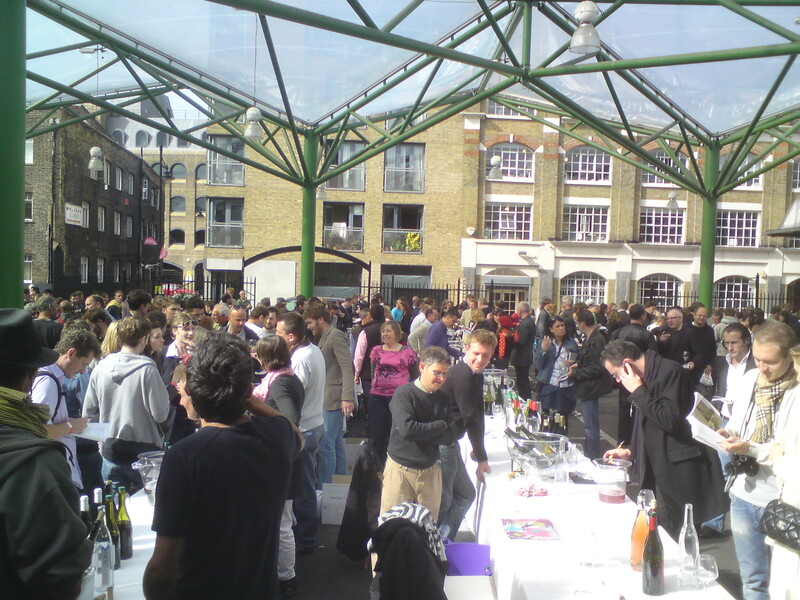 Today I had the pleasure of attending the UK’s 1st Natural Wine Fair at Borough Market, London. This is the brain child of Isabelle Legeron MW, along with a host of wine importers from the UK, listed below*. 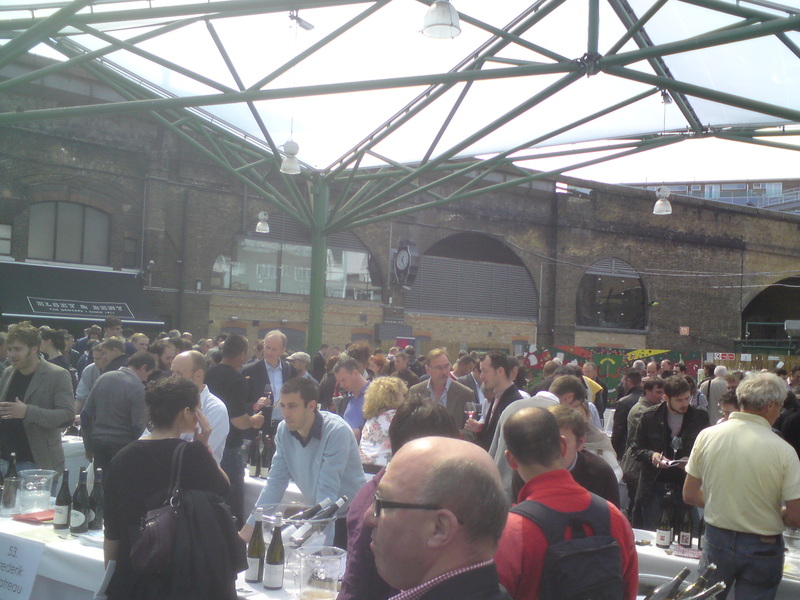 The event has allowed wine makers from around Europe and one from Australia, Jasper Hill, to show wines that are either Organic or Bio-Dynamic. 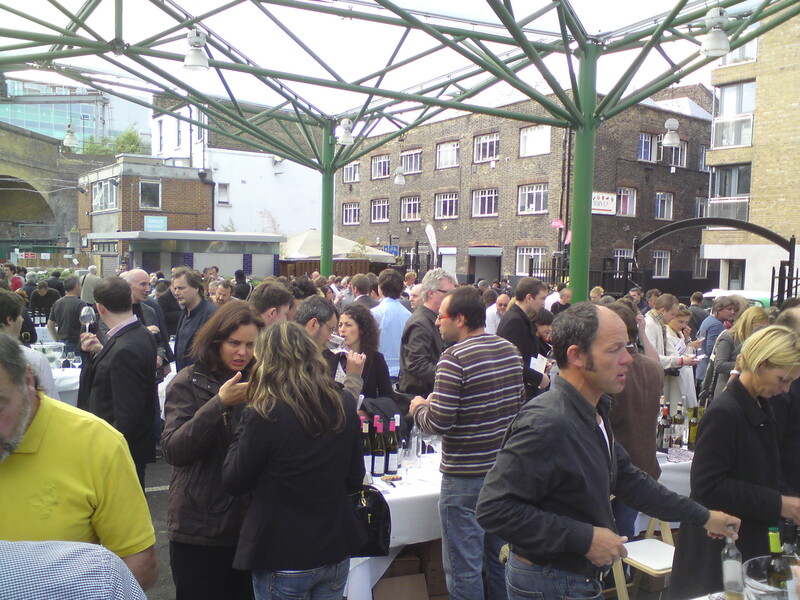 On a very pleasant, warm afternoon in London, hundreds of people from around the wine trade turned out to sample an estimated 650 wines ranging from classic red and white Burgundies, interesting assortment of Spanish and Italian wines to a rather delightful sparkling red Portuguese. ALL grapes are, at a minimum, organic. ALL grapes are hand harvested. Some of the wines won’t have anything added at all. *Low sulphite levels means the grower aims to add as little or no SO2 at all. On my glass laden journey around the Market I sampled around thirty wines, and I must say, on the whole, they were rather impressive. There was a range of wines from Domaine Gerard Neumeyer, Molsheim, Alsace that I particularly enjoyed. The Pinot Gris was superb. Light, soft citrus fruit on the nose but the complete opposite on the palate, rich and full. Other wines that grabbed my attention were the Gaillac Blanc 2008 Les Greilles and Vin de Table 2008 ZACMAU from Domaine Causse-Marines, South West France. A relatively inexpensive Muscat de Rivesaltes from Les Enfants Sauvages, Nikolas & Carolin Bantlin, Rousillon. Very pale but what it lacks in colour it more than makes up in other departments. Good fruit and perfumed nose. The palate has a fantastic nutty finish that lingers long after the fruit has gone. By Domiane du Mazek, Gerald & Jocelyne Oustric, Ardeche, Rhone the 2008 Les Leches produced, for me, an off dry wine with good long fruit of stewed apples. Sancerre from Domaine Sebastien Riffault showed a different side to Sauvignon Blanc that I had never experienced before. Rich, yeasty, baked apples with some minerality and subtle acidity. These were gorgeous. There were many, many more that I could go with. In all the event was a good day. The variety of wines available to taste was remarkable. I’ll seriously be looking forward to this event next year and will be giving a kick up the backside to those colleagues of mine who never made it. You know who you are. Well done chaps. 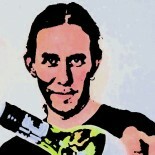 Good show. 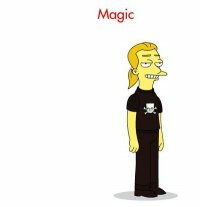 This entry was posted on May 16, 2011 by The Oenophiliac in Events., News..